ORANGE WALK–Two days after members of the young and upstart activist organization known as the Rod of Correction (ROC) had what we understand was a “militant” meeting with the Belize Sugar Cane Farmers Association (BSCFA) this past Tuesday, November 25, we have been reliably informed that Prime Minister Dean Barrow has requested a meeting with the cane farmers which is scheduled to take place at 10:00 a.m. tomorrow, Friday, at the Belize Biltmore Plaza Hotel in Belize City. 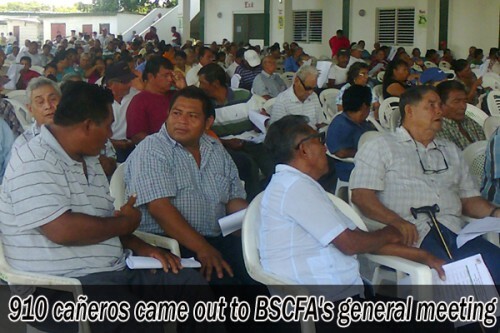 In that Tuesday meeting, we were told that the unions pledged full solidarity and cooperation with the BSCFA in the event of industrial action, which may have prompted PM Barrow to ask for a meeting, because the Government of Belize (GOB) has, for the most part, steered clear of the conflict since tensions rose between the factory owners and the cane farmers in the recent weeks. Even before it reached that point, though, the BSCFA had been calling for the intercession of the Sugar Industry Control Board (SICB), a government statutory body tasked with regulating the industry, to mediate the impasse. That session finally took place this Tuesday, November 25, and while the indications are that it was somewhat fruitful, SICB chairman Gabriel Martinez would only reveal that the feuding parties have identified December 8, 2014 as the optimal start date for the 2014/2015 sugar cane crop season based on a crop of 1.35 million tons of sugar cane. The two major areas of conflict, however – the set price that BSI/ASR will pay the farmers for bagasse, and the proposal that once the cane is delivered to the factory, it becomes the property of the millers – apparently remain unaddressed. While a start date has been arranged, if an agreement cannot be reached on those two thorny points of contention, for sure, there is more trouble ahead.